In 2010 I hosted my first ever craft workshop at the Etsy Labs in Brooklyn, NYC. Since then I have developed a passion for teaching and inspiring others to embrace their creativity through community-based making. 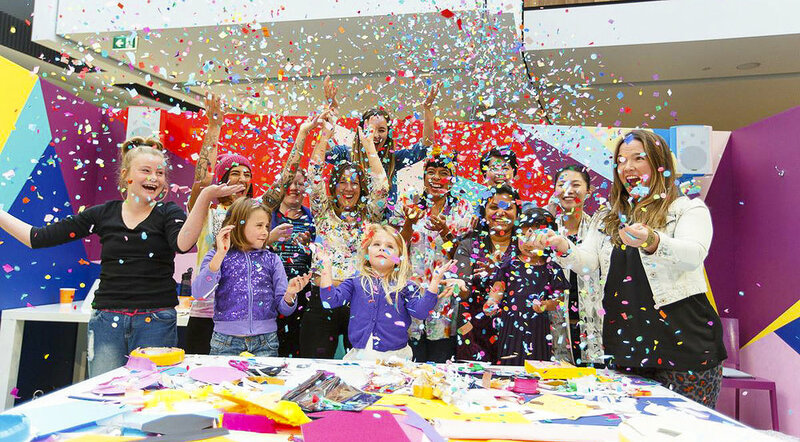 Over the last 9 years I have developed and hosted workshop activations for a wide range of clients including My Little Pony, Sportsgirl, The National Gallery of Victoria, kikki.k, H&M, and West Elm. I offer a range of activation options, including long-form, structured craft workshops, drop-in DIY activities and in-store fashion and product customisations to name a few! All activations are customisable to the size and scope of your event. I can also work directly with you to develop something completely unique that is personalised to your event, space, and project. I specialise in activations that centre around papercraft (eg: pinatas, props, party decorations, stationery, masks) and felt-based projects (eg: soft sculpture, embellishments, felt collage), and have over a decade of varied craft knowledge and skills under my belt should you be interested in something different. Thank you for your enquiry. I'll be in touch soon! I partnered with Hasbro to create a range of custom piñatas and an accompanying craft activity for their My Little Pony 35th Surprise Celebration in Sydney. Inspired by the theme ‘Celebrating Friendship’, I developed a project that invited party guests to create ‘Ponygrams’ - colourful packages filled with hand-drawn notes, confetti and trinkets - to fill the piñatas. With the help from the ponies themselves, the piñatas were then smashed open, and the Ponygrams gifted to each guest. To promote the launch of their new range of gift wrap and party accessories, I hosted an in-store workshop for Australian gift and stationery retailer kikki.k. I designed a series of party decorations using their products, including an oversized present bow, mini geometric gift boxes, and a paper party garland. Attendees were shown step-by-step how to make each decoration, and provided with a pack of kikki.k product, instructions, and templates. I was commissioned by Australian music festival Groovin The Moo to run a drop-in style activation for the Canberra leg of their festival tour. The Maker Station was designed to be a fun, relaxed space where festival attendees could stop by throughout the day, take a break, and customise their own tote bag using my signature felt collaging techniques.